It’s been about two months since the XPocalypse, and also two months of living with Linux (specifically Zorin) on two desktops and my old netbook, and I thought it was time to share some of my thoughts/feelings. As a programmer I’ve always had a passing familiarity with Linux (I had to use emacs in an x-window system for a lot of my homework in college), but I’ve never really had it on a computer I used all the time. Most of my day to day work is done on the new Windows 8 machine (which has hella crazy battery life), but I use the old Linux box as a way to train myself for a day when I want to make old hardware work for me rather than buying new hardware. So, in no particular order, here are my impressions. I love startup and shutdown. Updates don’t hold up my shutdown and the thing is all the way off in less than ten seconds. One of the dreads of any windows computer is going to leave and realizing the thing wants to do 13 updates you weren’t planning on. This actually screwed up a netbook computer of my dad’s when he was cut off from the internet at a Panera. Not so with this box. It boots up quick, and shuts down quicker. Zorin’s Windows look and feel is pretty good, but the version I installed (6.4 LTS) isn’t the best with desktop icons so I find myself mostly using the menu. The menu keeps programs pretty organized, though not always where I would expect them, and I’m not sure how to re-arrange and create my own folders and sub-categories. I got Steam to work and brought over roughly 25% of all the games I own. I haven’t messed with Wine yet, but presumably I could get a lot more programs to work that way as well. The Ubuntu Software Center is convenient for finding programs and installing them from a centralized location, but most programs seem horrendously out of date. Calibre was at least 40 revisions back, and ScummVM was back several releases as well. If it’s software you use all the time, you’re probably better off going straight to the developer’s site and getting the latest version. Installing programs manually can take many forms. ScummVM came with a .deb package that Ubuntu could install through the software center. Calibre came with a long command line command that you paste into a terminal to install. Neither seem to have built in update mechanisms so this procedure must be repeated each time a new version comes out. Your mileage will vary depending on the programs you are using. For internet Chrome seems to be the best, mainly from a plugins perspective (flash is installed and working without having to download). I use Opera but the one packaged with Zorin is very old, 12.16. I haven’t tried to update to the latest yet, but the old version serves well enough. I use the old netbook a lot for downloading torrents from Humble Bundle (my latest eBook or game purchases) . Torrents tend to be the fastest and easiest way to manage the bandwidth downloads take up (sharing 15Mbps while trying to watch Netflix can get a little tight). qTorrent is pretty good, though its default setup crashed my router a few times before I told it to dial back the number of connections. Using Google Docs and LibreOffice are fine, close to the OpenOffice experience I used to use. Probably won’t use it for any long projects, but nice to know it’s available. ScummVM and DBGL work well and allow me to port a lot of my old games to this machine. Overhead can sometimes make games run more laggy than they seemed to on Windows. I like that print screens automatically write out a file. Wireless connections seem better able to handle security at the enterprise level. My old netbook is the only computer I have that can connect to my company’s wireless. VLC media player is a classic for video playback. Haven’t found an audio player I love yet. Still playing with notepad replacements equivalent to Notepad++. Haven’t found one I like yet. I’ve been meaning to test programming IDE’s but haven’t really gotten around to it. Installed CodeBlocks and Geany. I’m not really happy with PDF readers either yet. SumatraPDF is one of the best windows ebook, pdf and comic book readers and I have yet to find something that simple and elegant for linux. Lubuntu is definitely better on old hardware and Zorin’s lite release is very similar to its full release so switching between them isn’t difficult. The number of updates seems much higher than Windows, but at least they don’t get in the way. USB devices recognize easily except for my USB 3.0 hard drives. Might be more a fault of the hardware (though Windows XP did not have this problem). 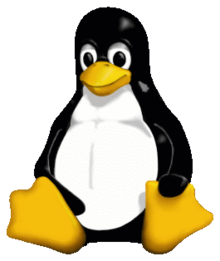 Have you ever played with a Linux system? What are your impressions? Any recommendations?